I love this time of the year. Summer is in full swing (with another few long months of sunny weather to go), the ocean is warm, the insects are humming, dairies are making a killer trade in iceblocks. 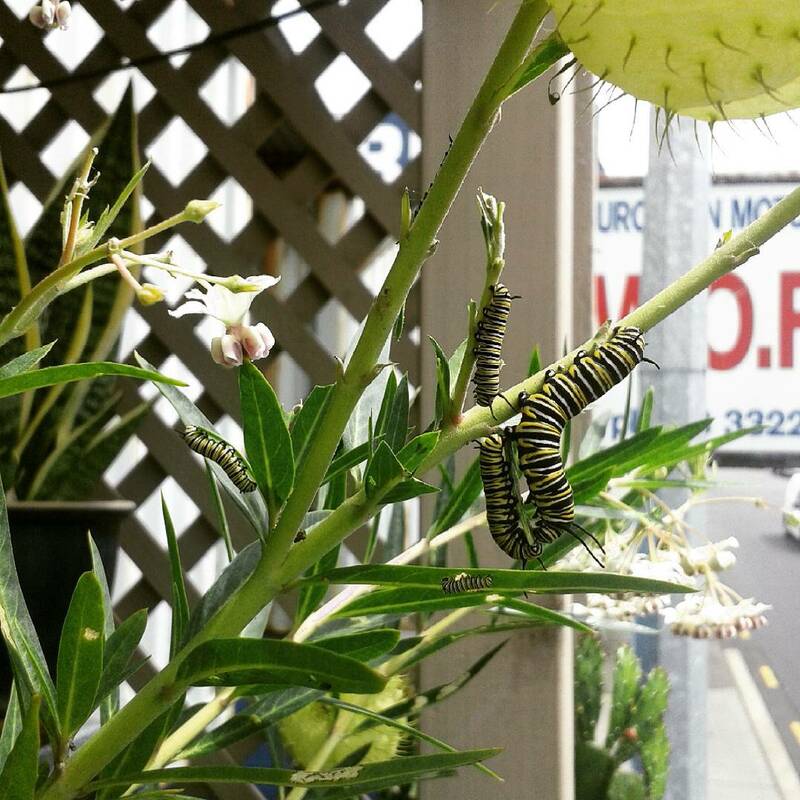 And one of the highlights, for me at least, with my tiny inner-city balcony garden, is that the monarch butterflies return around this time of year, and begin laying their eggs on my swan plants. Here’s one of the older, fatter ones. Last year I had far too many caterpillars for my single swan plant, and I had to buy another two. 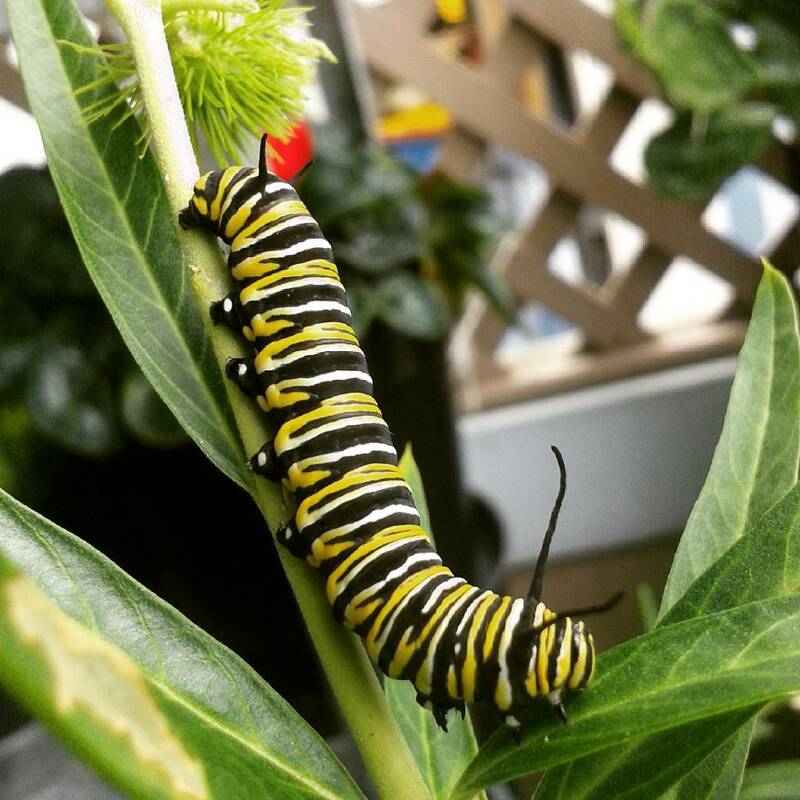 The shop assistant at the plant store told me that each caterpillar eats 16 leaves on average. She also told me to “squish” the smaller caterpillars so the bigger ones had enough to eat (yeah right). 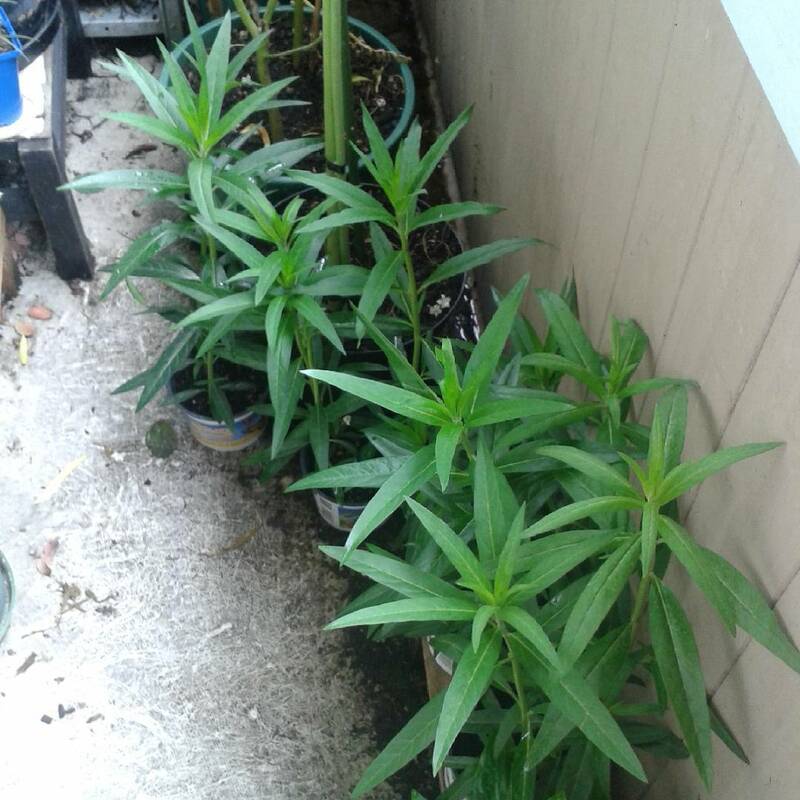 This year I bought another SEVEN plants to keep up with them. Let’s hope they grow quickly! The latin name is Gomphocarpus physocarpus, sometimes called “balloon plant” because of it’s balloon-like seed pods. I’ve counted at least fifteen caterpillars so far this year, and I watched a butterfly lay an extra twenty-or-so eggs on the backs of the leaves. Recently someone told me that butterflies remember where they hatched, and return to that very place when it’s their turn to lay. I thought that was neat – whole generations of the same family being born on my balcony. However, I did a little research on this, and it appears that butterflies just have a very good sense of smell. They can smell the swan plants (a species of milkweed) from a long way away, and hone right in. I imagine that in the CBD there aren’t too many swan plants to go around. My garden might not be a butterfly paradise. But it’s something! I’ll take some more pictures when they’ve hatched. These monarch butterflies are really very beautiful. But caterpillars are always very hungry and eat up everything. Yes – they are crazy eaters! 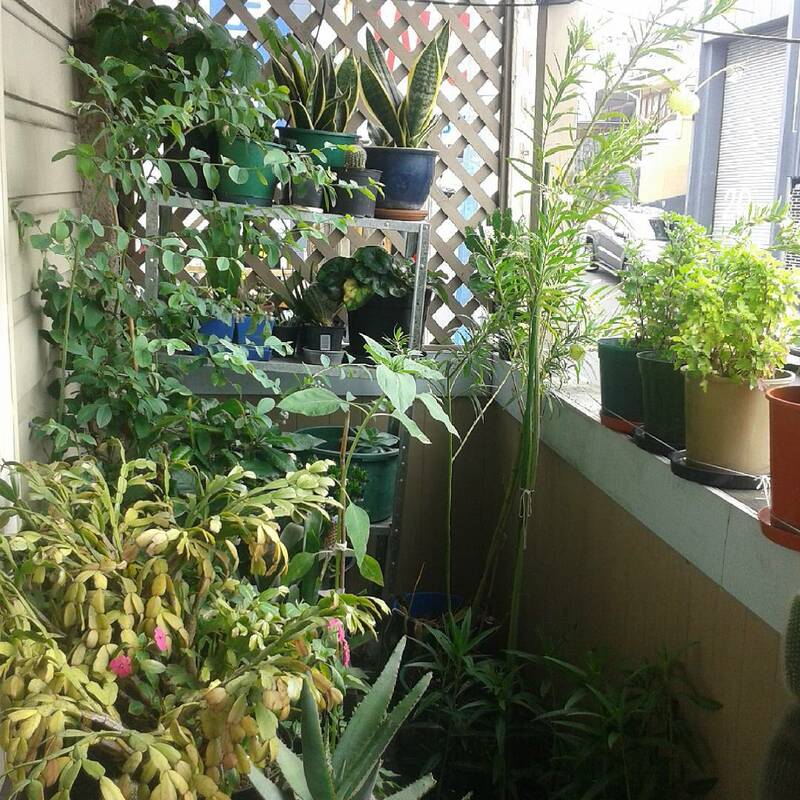 (and getting fatter by the day) If I have to, I’ll buy more plants.